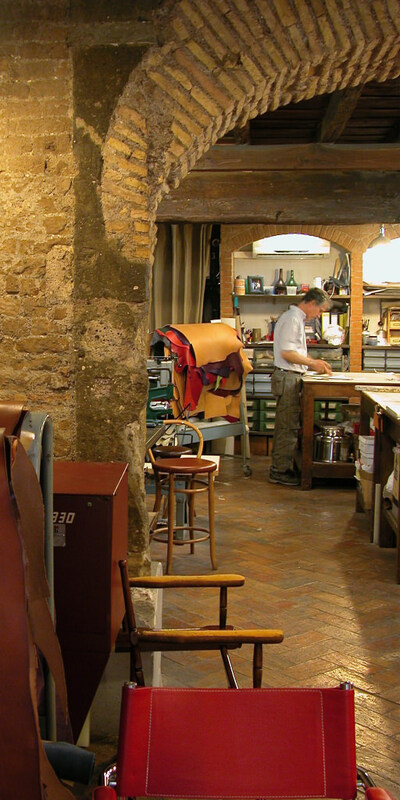 Dario has been creating high-quality handmade leather goods since 1970, in his workshop in the historic centre of Rome. 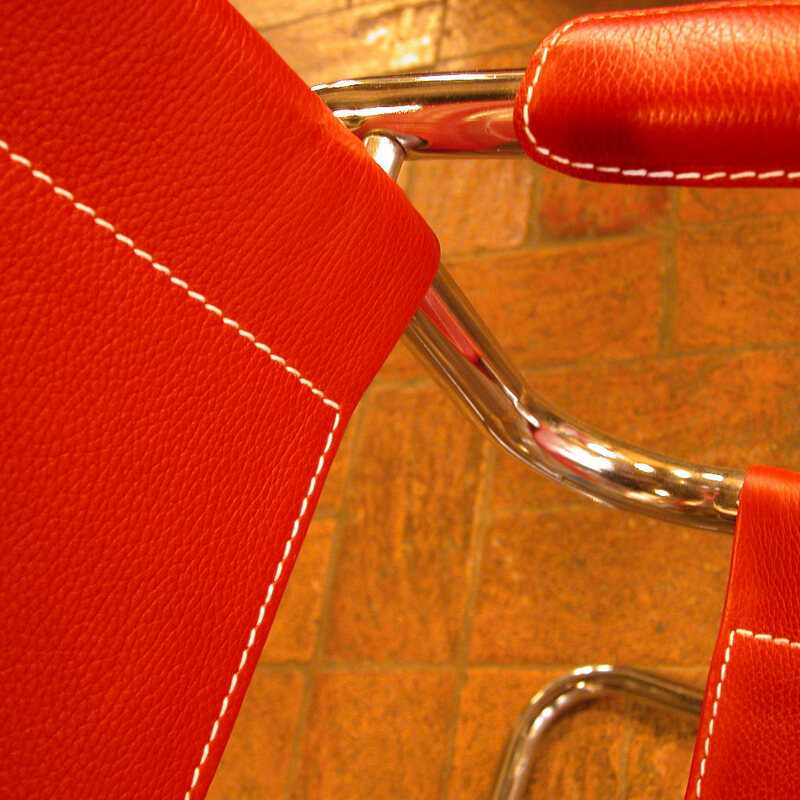 He brings his deep knowledge and experience of traditional leather techniques to his creations: chairs, bags, belts and more. He has a fine eye for detail, quality, and knowing what is “right”—whether he’s creating new leather goods or restoring old classics. 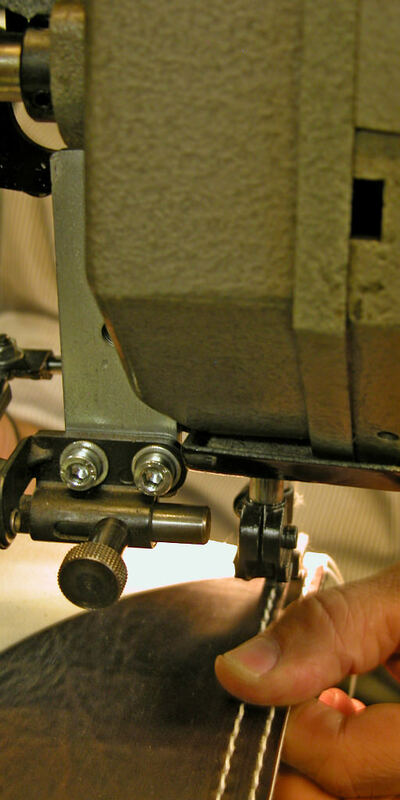 His workmanship lasts a lifetime. Choosing the right materials is the most important determinant of a product’s quality and long life. The combination of softness, strength, and long-lasting colour is difficult to find all in a single hide. 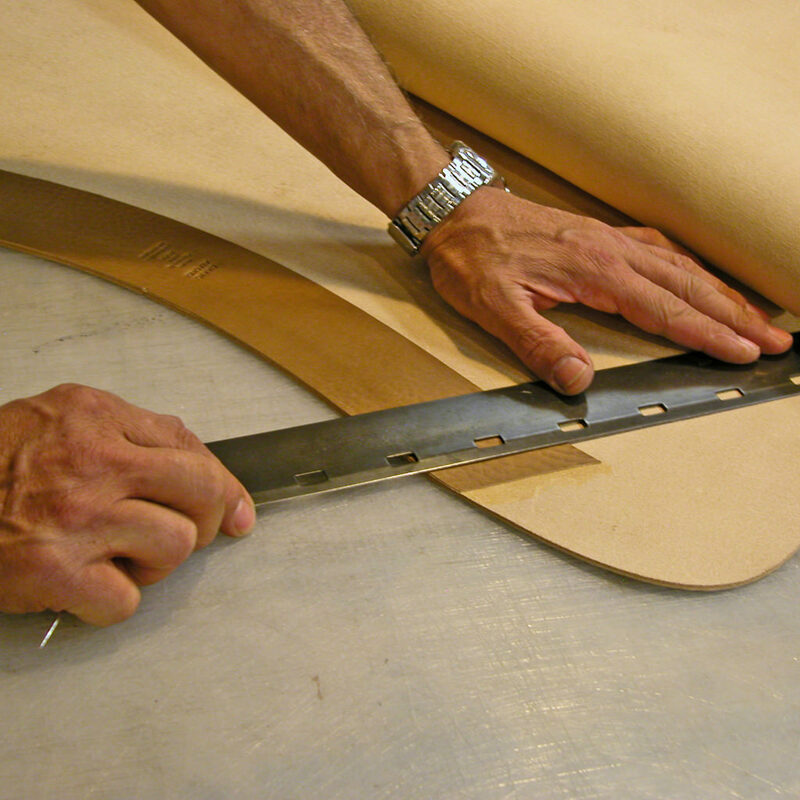 Dario’s long experience helps him choose the very best hides from the very best tanneries in Italy. All the leather that he uses is tanned exclusively with natural tannins of vegetable-origin. Vegetable-tanning is a slow form of tanning that is more environmentally-friendly than modern industrial tanning. Each hide is given a certificate of guarantee from the suppliers—tanneries in the heart of Tuscany, Italy. 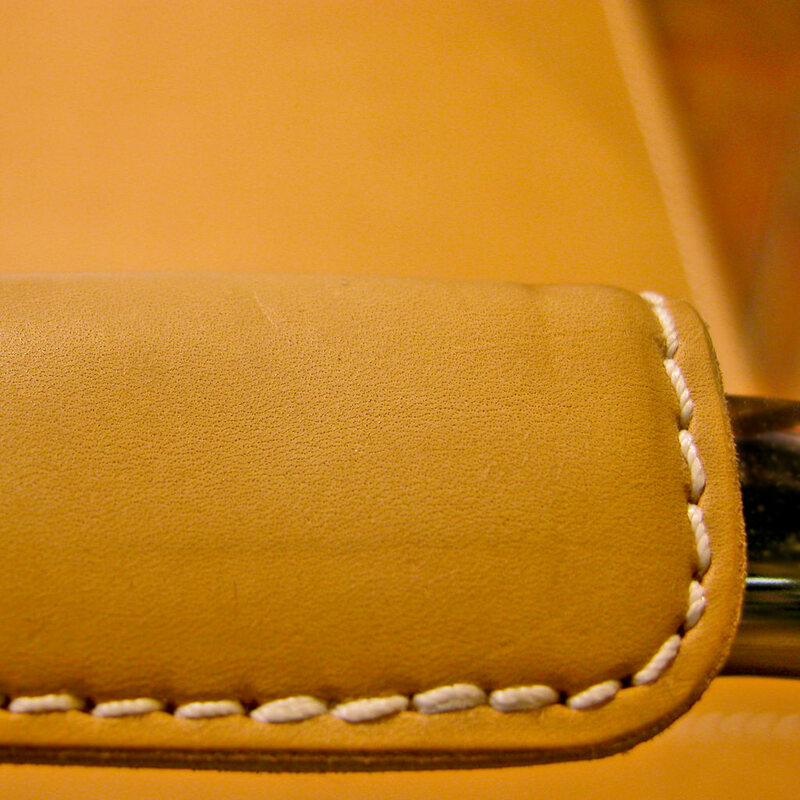 They produce high-quality, natural, long-lasting vegetable-tanned leather. 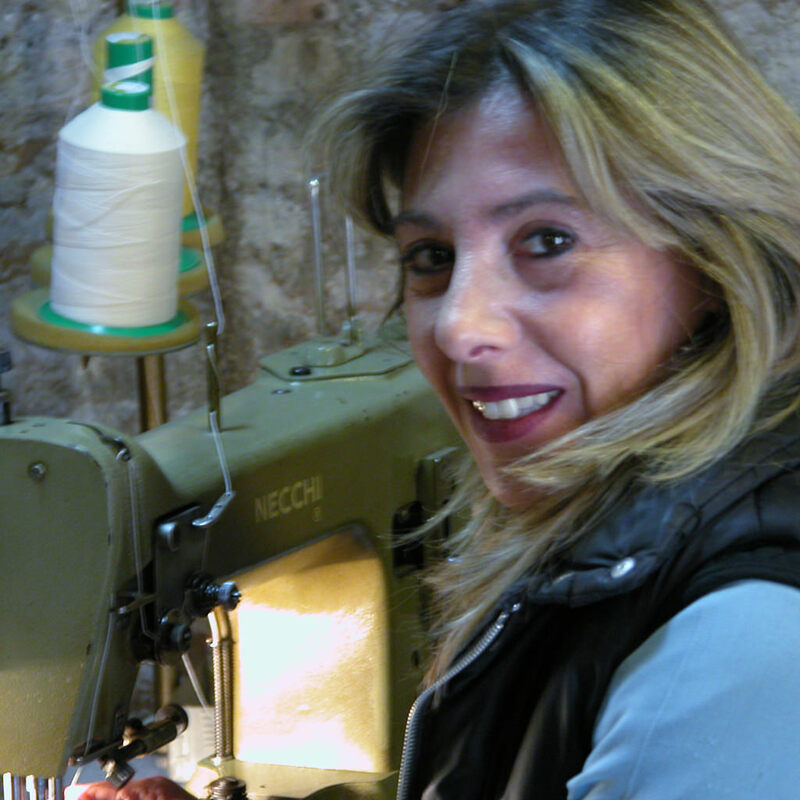 Entering Dario’s workshop in Rome’s centro storico is like stepping back in time. The workshop reflects the history of the city: The foundations are from Pompey’s theatre, which was in use from 55 BCE to the middle of the 6th century, while the rugged walls and beautiful beamed ceilings were built in the 15th–17th century. 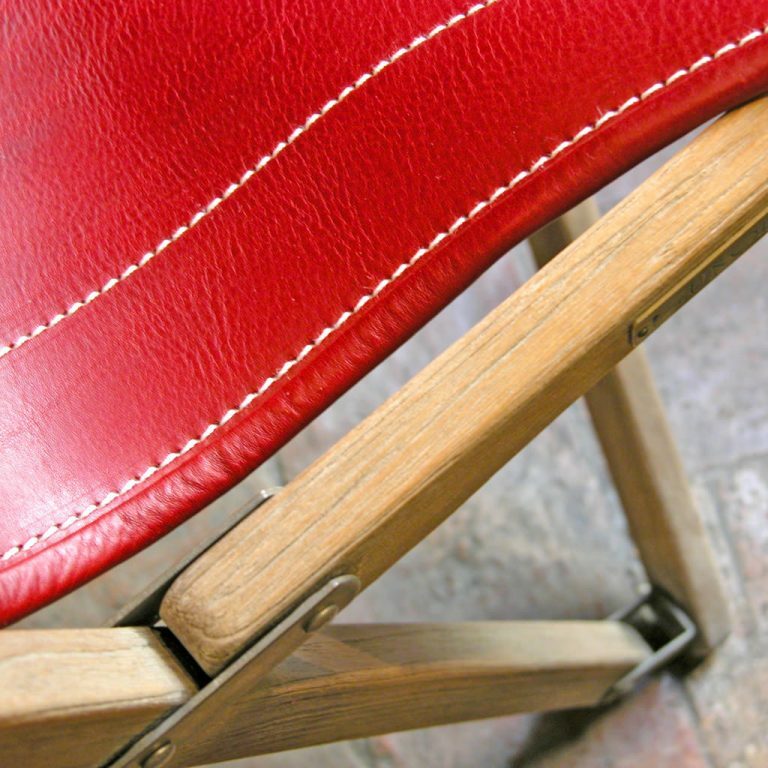 Visiting the workshop takes you out of the chaos of the city and connects you with the ancient craft of leatherwork—knowledge of materials and tools passed from generation to generation. 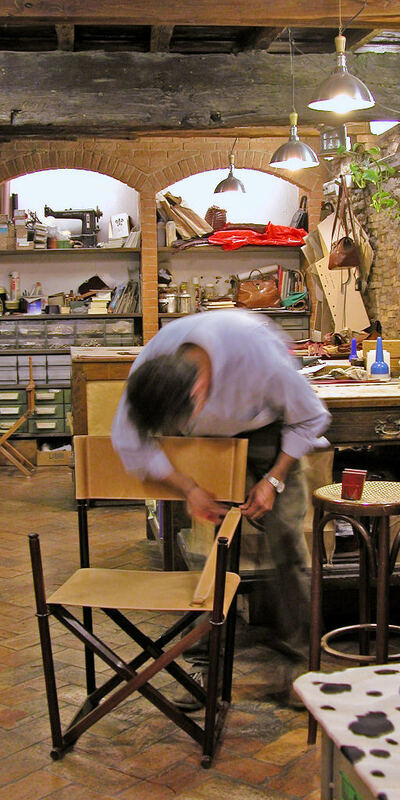 You’ll find Dario at work amid the smell of leather; amid the colours and thick softness of the skins ready to be crafted; with newly-finished chairs in the small windows and restoration work in progress. New and old blending perfectly. It infuses its magic into everything Dario produces.